Eddie is celebrating her 40th year as a live performer, a career which started in 1978 singing on Scottish country rock tours, then appearing on worldwide festival and concert hall stages with Gang of Four and Fairground Attraction through the eighties and her own successful solo live career which continues to this day. Eddie grew up in Glasgow and Irvine, Scotland and it was in those towns that she learned to use music as a vehicle for communicating with others through busking and performing at the local folk clubs. In the early 1980s, Eddi travelled around Europe with circus and performance artists before moving to London where she quickly became a sought after session vocalist. She famously harmonized with Annie Lennox touring with the Eurythmics, after her time with successful punk outfit Gang of Four. It was the short-lived but warmly remembered Fairground Attraction that really brought her into the limelight and to the attention of a much wider audience. The single Perfect and parent album First of a Million Kisses both topped the British charts. 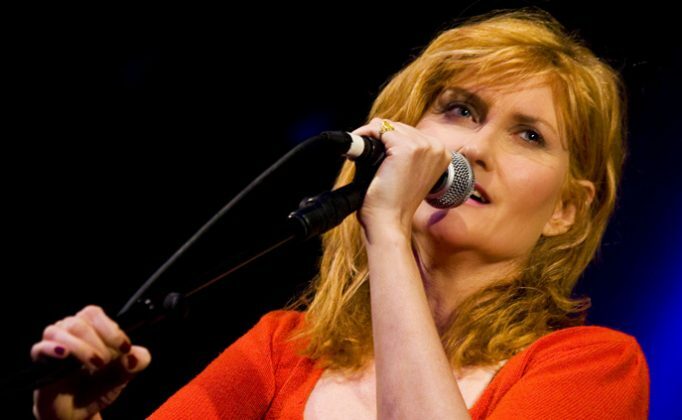 Through these years Eddi based herself in London, but in 2001 she decided to move home to Glasgow where she recorded the classic Songs Of Robert Burns album released to international acclaim in 2003. Awarded the MBE in 2006 for services to singing, she took her Burns songs on tour all over the world and found connections to the bard everywhere from Kolkata, India to Sydney, Australia. In 2006 she released Peacetime on Rough Trade Records featuring the finest traditional players in the United Kingdom and produced by Folk Musician of The Year, John McCusker. Constant touring with her band has created a magical organic chemistry between Eddi and her players and the results of this relationship can be found on her most recent release. Starlight her new EP is being released to coincide with her 2019 UK tour.